This post was contributed by Maria E. Kistler, Director of Catholic Schools Marketing. On March 2, 2016 All Saints Academy in Parsippany, NJ; St Anthony School in Hawthorne, NJ and St. Catherine of Bologna School in Ringwood, NJ all schools in the Diocese of Paterson received AdvancED STEM (Science, Technology, Engineering and Mathematics) Certification. This achievement is a mark of STEM distinction and excellence only offered to highly effective institutions that prioritize STEM education as a path to success. Fifteen schools in the Diocese of Paterson follow the philosophy of STEM teaching and learning. 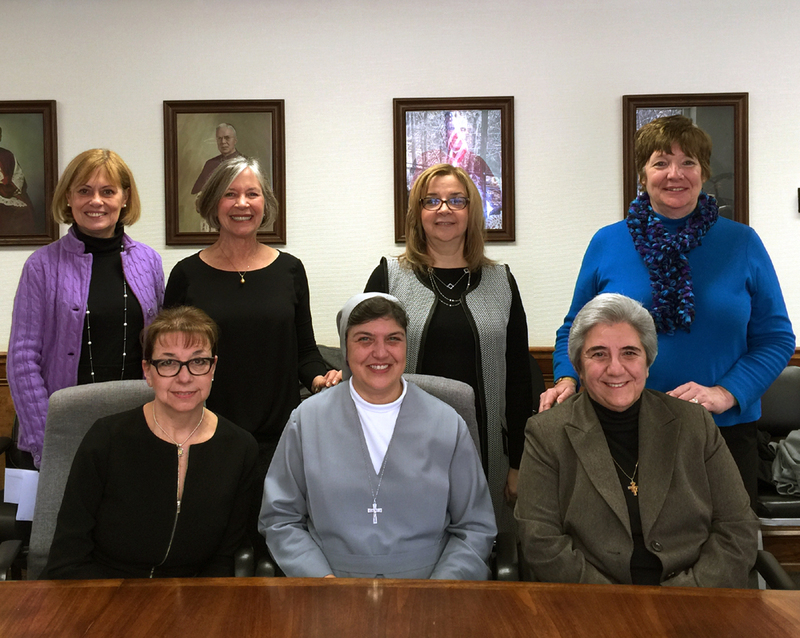 In 2014 the Diocese of Paterson received the NCEA’s Karen M. Ristau Innovations Award for STEM, this award is presented annually to an individual school or program that has furthered the mission of Catholic Education through an innovative program or approach. In order to earn STEM Certification, All Saints Academy in Parsippany, St Anthony School in Hawthorne, and St. Catherine of Bologna School in Ringwood had to demonstrate adherence to the AdvancED STEM Standard as reflected by the school’s performance across 11 rigorous STEM indicators. This included a self-evaluation process in which photos, videos of students’ work, teacher lesson plans, proof of open houses and parents’ events involving stakeholders and an analysis were submitted as evidence of their schools quality STEM education. All three schools opened their classrooms for observations focused on identifying student engagement and collaboration in the learning process using the Effective Learning Environment Observation Tool™ (eleot™). Two reviewers from the AdvancED team met with key stakeholders such as school administrators, STEM faculty and staff, parents, students, and external partners in order to verify the school’s commitment to connecting students’ STEM experiences in the classroom to the local community and the world at large. Each schools’ STEM team also had to make a video-PowerPoint presentation to the AdvancED evaluators. “The Diocese of Paterson enabled us to really get to know the schools and understand what each schools’ STEM approach is doing for the children. It was great to watch the children in action and see their genuine engagement and excitement, “said Leslie Ballard, State Director from AdvancED. “These schools as well as all of our schools are grounded in the mission of Catholic social teachings and values that prepare and empower our students to be creative, collaborative and morally responsible contributors to an ever changing global society. This certification also validates STEM’s impact on student achievement and teacher efficacy. We strive to make Catholic schools of excellence and continue our work knowing that schools must be transformative and adaptive.”, commented Mary D. Baier, Superintendent of Schools. AdvancED STEM Certification is the first internationally recognized mark of quality for STEM schools and programs, signaling the growing emphasis placed on STEM education by educators, politicians and business leaders around the world. In earning this certification, the diocese along with these three schools has demonstrated its commitment to preparing its students for their educational and career opportunities of the future by ensuring our students will have the skills and knowledge they need to be successful in their postsecondary pursuits and as workforce contributors in the 21st-century economy.